There are few artists hailing from the east coast with more versatility than Pro Era’s very own Kirk Knight. Born Kirlan Labarrie, Kirk Knight is a prolific rapper, producer and songwriter who, regardless of the type of project he puts out, always ends up finding a way to successfully embody New York City and Brooklyn’s grit and ruggedness; it is the focal point of his sound, and what makes him so unique among other rapper/producers. 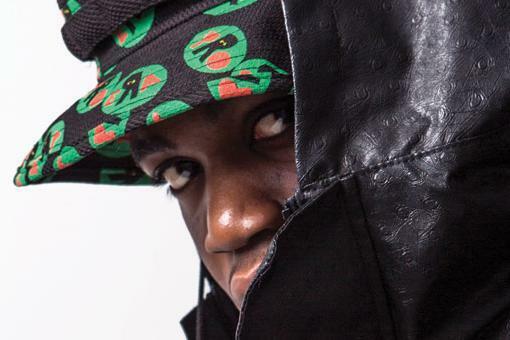 Kirk Knight started rapping and working on music in his early teens, but it wasn’t until he met Joey Bada$$ and became a part of the Pro Era crew that he started taking his medium of self-expression – making beats, rapping and working on songs – seriously, to the point where he decided it’d be his destined path in life. From beating on tables at lunch, to being introduced to FL Studio and the likes his junior year at Erasmus Hall High School, Knight first realized his potential and then actualized it by staying true to the foundations of hip-hop: through expression, art, and dedication. Knight is best known for his production work with Joey Bada$$, Mick Jenkins (with whom he toured with nationally) and his fellow Pro Era members. Notable contributions include his stand out work on Joey Bada$$’s debut album “B4.DA.$$,” including the album’s lead single, “Big Dusty,” as well as the eerie, critically acclaimed track “Hazeus View.” Knight is also particularly recognized for his production credits on Joey Bada$$’s earlier efforts including “Summer Knights” as well as a feature on Joey Bada$$’s debut mixtape “1999” on the song “Where It’s At”. Drawing inspiration from iconic artists like J Dilla, Madlib, Kanye West, and the Notorious B.I.G., Knight leaps from smooth melodies to raw, uncut sounds effortlessly. Staying true to himself through his art, by believing in himself and his ability to connect with the youth, Knight invites fellow hip-hop fans and listeners to live vicariously through his music, whether through his beats, songs, or full-length projects.